As a Pakistani I have seen a lot of things in my life, from violence to the most peaceful unity I have ever seen. Living in Pakistan is not black and white, it is like a rainbow with 5 additional colors. I have traveled to a lot of countries, from Dubai to the U.S and Canada. But no place has made me feel as in love as Pakistan has. Trust me you have to live in Pakistan for a while to know this. Regardless of where ever you reside I will tell you why I love Pakistan and why you should too because of these 6 reasons. Hospitality is the first thing you hear when talking about Pakistan. Whether you live in the country or are a foreigner if someone is telling you something good about Pakistan this is the first thing they speak of. It is like this because it is the truth. Growing up in Karachi I thought otherwise in the beginning. As I was little and my parents didn’t allow me to go out much so I thought the world is a mean ol’ place. As I grew older and was given the liberty to experience it for myself. I quickly realized just how hospitable Pakistan really is. I had traveled to my village in Swat Valley at the age of 13 and that is when I experienced my first taste of hospitality. People would offer us to have lunch and dinner with them simply because we weren’t from there. I heard them fighting with each other over where I and my family is going to have lunch on a specific day. It was overwhelming but it really made me realize the good people have inside of them. Similarly when I visited my friend in Lahore, his parents never allowed me to pay for anything. Not even a cologne that I wanted to buy for myself. It was amazing experiencing how people in Pakistan would go beyond their means to make sure their guest is happy. Growing up in Pakistan one thing is a constant and that is FOOD. Food is like our religion and that too, good food. Around every corner there is some guy selling BunKebabs or French Fries. You would think that not every vendor would be good, but that’s the thing, they are. I might sound biased but Karachi has to be the best place for foodies. You cannot walk 100 meters without stumbling upon a kiosk of Biryani, BunKebab, Chat or Fries. Its like the place wants you to get fat. The price range is what astonishes me the most. You can literally have a full stomach in Rs 100, it boggles me sometimes. You don’t have to worry if you do not feel like having street food. There are plenty of high-end restaurants that will get you top of the line meals. You want steaks well you got it, you want pasta, you got it. Whatever it is that your heart desires you can have it all. 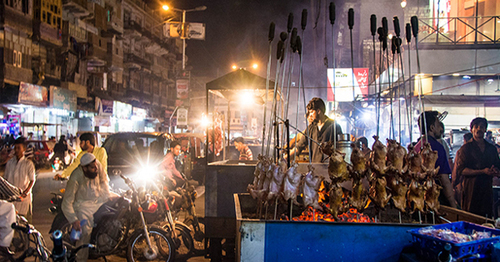 Coming to Lahore or most popularly known as the Foodie’s paradise. 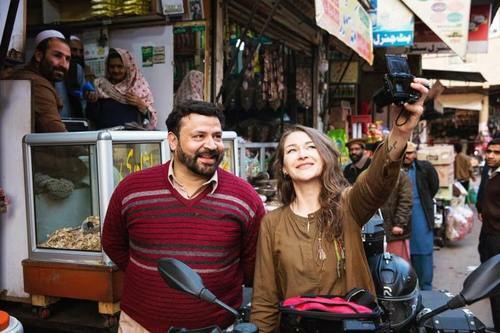 There is so much culture in Lahore that the only thing that tops it is the food. Every place in Pakistan has its specialty. Karachi is famous for its Nihari and Biryani and Lahore is famous for its payye and murgh choley. My mouth is watering as I write this. Well I don’t think I need tell you about the food related adventure you can have in Lahore because I am sure everyone else has already. I could literally write a full book on the food scene of Pakistan, but this article doesn’t allows me to go in dept. So, I will say this, that each city has its own taste and own dishes they are famous for. I love Pakistan because of the food, its probably the reason why we are all so happy. Pakistan is one of the most charitable country in the world. It gives more than 1% of its annual GDP to charitable organizations. 98% of people in Pakistan give charity in one way or the other. Pakistanis give about $2 billion each year to charities. Pakistan also house the worlds largest charitable organization The EDHI Foundation. Whether it is taking care of the elderly, children, victims of war or just the poor Pakistanis are one of the most generous out there. Saylani is another NGO that provides people with breakfast, lunch and dinner each day. They feed 125,000 people each month. You can say that it is because of religion or it is just humanity, but all I know is that no matter what Pakistanis are good people. I simply love Pakistani music, there is so much talent in Pakistan that it leaves me flabbergasted. 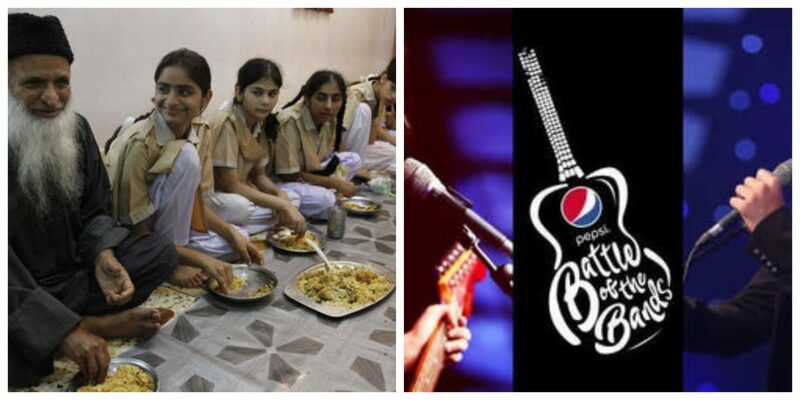 Because of Pepsi’s Battle of The Bands and similar programs the new talent is being given a spotlight like never before. Whether it is Rock, Metal, Pop, Grunge, Classic or Folk there are Pakistanis out there who crush it. I am in awe seeing few of these bands perform and it has made me hopeful for the future of our music. PSL is our version of the Superbowl and it is just as exciting if not more. It celebrates the religion of Pakistan which is cricket. Pakistan Super League is a month long cricket festival with 6 teams battling it out to win the championship. It all began in 2015 and each year Pakistanis around the world partake in something bigger than them. It is an important part of our nation and it is really exciting to say the least. All the lights, the glory and happiness that fills the air each year. It is spectacular to see all that and really tells us that no matter what is going on cricket will always bring this nation together. 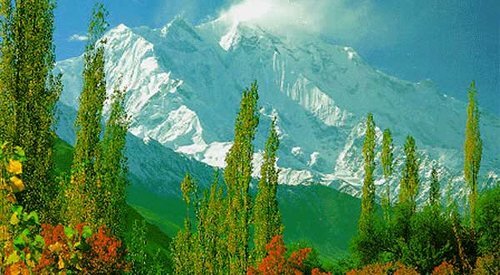 Whether it is desert landscapes or cold mountainous regions Pakistan has it all. You want to visit Switzerland, well go to Swat, Hunza or Neelum Valley at fraction of the price. You want to go to Amsterdam, well Islamabad is at your disposal. Whatever you want to experience I am sure that Pakistan has it. I simply adore nature and my time at Swat and the other Northern Areas gave me a new found appreciation for my country. To the people I met there, the food I ate and the sights I saw. Everything gave me a warm feeling inside that told me to love my country for what it is and what it will be. I love Pakistan for these 5 reasons, tell me why you love Pakistan in the comment section below. This Summers, Here’s How You Can Protect Yourselves From All The Evil Mosquitoes Buzzing Around You!